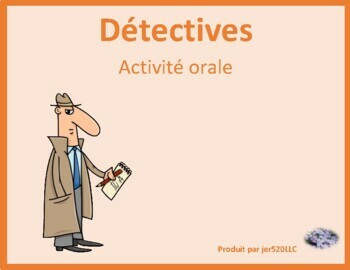 Includes 25 of my products which are listed individually for the present tense of reflexive verbs in French. This is an all-class activity. 5 students go to the front of class. There are 5 different pages hanging on the board. Each page has a name and 4 pictures of reflexive verbs. 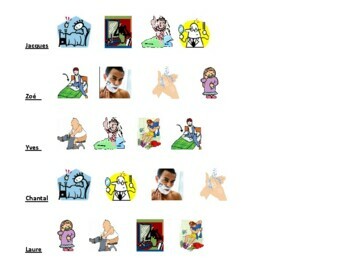 This activity uses a total of 10 reflexive verbs. Students at seats take turns asking questions with yes/no answers to deduce which student has which name.